For generations farmers have walked their fields investigating crops manually for signs of stress or disease. This traditional, labor intensive method is time consuming and can be difficult when crop canopies thicken. With the DJI Phantom series, farmers are able to evaluate their crops at scale while simultaneously creating crop maps that help them manage crops and time better. The Phantom series of aircraft are highly portable, and boast industry leading flight times. Equipped with 12 megapixel cameras and up to 4K video they capture clear, detailed images that are essential for analysis and every Phantom is ready to fly out of the box. Aerial thermal imaging has also become an important tool for crop management. It is a non-invasive way to monitor nurseries and greenhouses and even detect plant diseases. 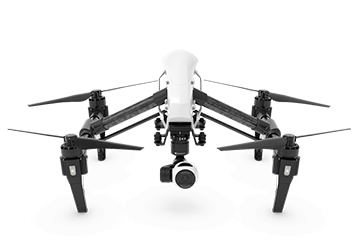 Using the DJI Inspire equipped with a DJI Zenmuse XT thermal imaging camera, developed in collaboration with FLIR, all of this important data can be easily captured. 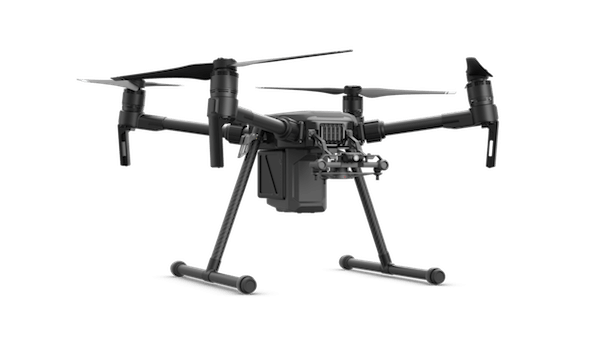 With the M210 model, pilots can simultaneously capture detailed visual and thermal data. Integrated thermal imaging solution built on Flir technology for use with the Matrice series of drones to visualize crop health. Fresh water is one of our most precious resources, with farms worldwide constantly looking to optimize their use of water. Both too much and too little affect productivity, meaning detailed tracking and monitoring is required. Large growers today often have many fields spread out across an entire region. These rely on the use of multiple irrigation pivots to water crops. Once crops such as corn begin reaching certain heights, mid-season inspections of the irrigation equipment that delivers much-needed water can become more difficult. 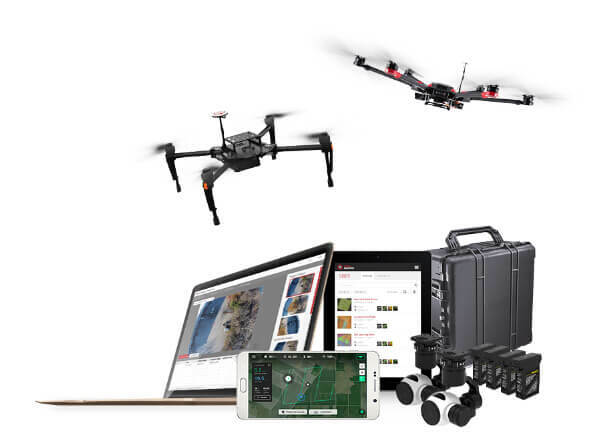 With the DJI Inspire XT's thermal capabilities, irrigation and water pooling can be managed more efficiently. Powered by FLIR's industry leading Tau 2 thermal camera, the Inspire XT gives growers a detailed understanding of the state of their lands, giving them fundamental insights that lead to better decision making. Agronomists draw from a number of different sciences to address pressing issues, including producing food, creating healthier food, managing the environmental impact of agriculture, and extracting energy from plants. Whether they specialize in crop rotation, irrigation and drainage, plant breeding, plant physiology, soil classification, soil fertility, weed control, or insect and pest control, agronomists rely on a host of plant and environmental data. Airborne cameras can carry a powerful combination of infrared and visual cameras to create a view of crops that cannot be seen with the naked eye. This highlights differences between healthy and distressed plants and allows for rapid action where necessary. Drones can also survey a crop every week, every day, or even every hour. Combining this information into a timelapse animation can highlight changes in the crop, revealing trouble spots or opportunities for better crop management. The M600 series heavy lifter platform gives agronomists a large payload, allowing them to deploy a wide range of third-party sensors and cameras from multi-spectral to hyperspectral and full frame. Powered by the new A3 flight controller, it can be upgraded with DJI’s D-RTK GNSS system for centimeter level hovering accuracy. Two additional satellite and IMU systems can also be added, creating a total of six layers of redundancy to ensure it flies with absolute reliability at all times. Its support of DJI’s SDK allows it to be customized to simplify inspection, from standardized flight patterns to fully autonomous flight, and a base station can also be used to allow the control of up to 5 aircraft simultaneously to make inspecting a large farmland more efficient than previously possible. All farms rely on a number of plant protection and fertilization methods to maintain crop health and yields. For decades, farmers have either relied on labor-intensive manual spraying or hired crop dusters to spray fields too large for manual labor. Neither option is an ideal one as manual spraying is time intensive while crop dusters are cost heavy. 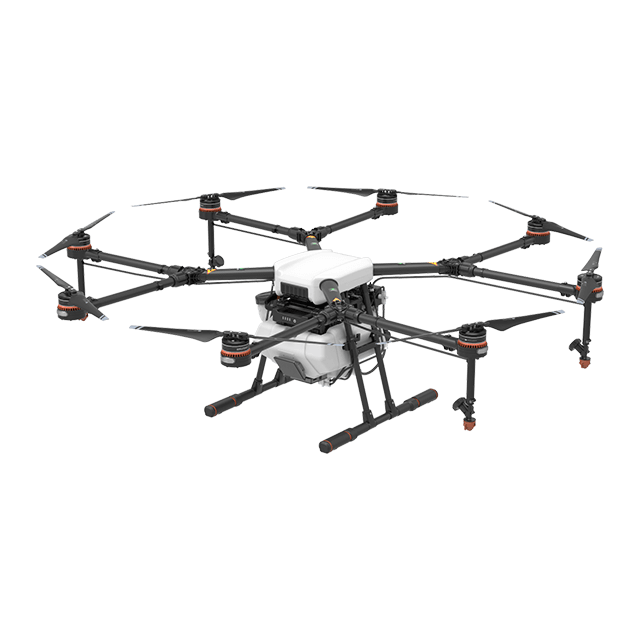 The DJI Agras MG-1 is an agricultural octocopter designed to increase efficiency and manageability in plant protection and fertilization. One single Agras MG-1 can carry 10kg of fluid and cover 10 acres (4 hectares) in a single flight. This is ¬60 times faster than manual spraying. Industry standard ceramic nozzles come pre-installed and can be swapped out if necessary for different spray requirements. In addition to dust and corrosion proofing, the Agras MG-1 is water-resistant so at the end of a spray it can be rinsed clean. Using the Agras MG-1, modern farms have a new tool for spraying that saves on labor while maximizing coverage. 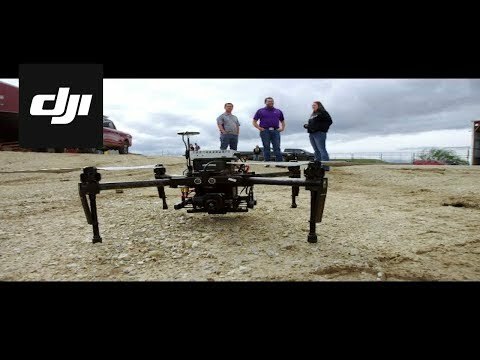 DJI's octocopter designed specifically for use in agriculture. Can carry 10kg of fluid to assist in pesticide and herbicide delivery.